← Does Your Weary Heart Need to Find Safe Harbor? Although we spent several years living on a peaceful lagoon in the Marshall Islands where my children became strong swimmers, in 2009, we found ourselves returning to the Boston area with a three year old, and I was adamant that we would not buy a house with a pool. (I have some safety paranoia.) But as it turned out, my husband had nine days to find a house while I was still in the South Pacific, and so, yup! We bought a house with a small, very old, aboveground pool. The pool was an amazing ice breaker and social connection for three kids adjusting from around-the-world culture shock and to new friends and schools. One of my children would be diagnosed with sensory integration issues, and the pool would become his built-in therapy, where jumps and splashes would regulate and give his body the feedback it so desperately craved. It’s very humbling to think that God was preparing this pool for us for reasons we couldn’t fathom at the time of sale. Okay, that’s just a pool. So what? What about the hard stuff of life? What about this never-ending struggle I have in my life right now? How about that? Yes, yes! Those are questions in my head and heart too! And as I was thinking about what God has been preparing me for, and where I already am, a few things came to mind, not the least of which is the little sidewalk I’m walking on called mental health advocacy. Yeah, that’s not really pavement I would have tread willingly on my own, but here I am, after recovering from depression myself, now helping a family member through depression/anxiety/OCD. While strolling down this significant and unwanted detour, I’ve connected with many people who have gone ahead of me. They offer wonderful resources, tips, and strategies as well as compassionate hearts. Maybe for you it’s that unexpected and frightening cancer diagnosis, caring for an ill parent, special education (that’s me too! ), a hold-your-breath moment in your marriage, a child in full rebellion, a loss, an abandonment, a new chapter of life. Whatever it is, we are often in the middle of it and can’t see out the sides. I have several friends and family walking through personal cancer wars. What amazes me is that even though they may be praying for the strength just to get through each day, the hope they walk in is apparent. The husband of one of these brave warriors regularly posts encouraging Bible verses and updates. Did this couple know, pre-diagnosis, that they would have a “new platform” for sharing their faith and lives, becoming a source of strength for others in their own journey through disease? After you walk through cancer treatment/recovery, getting a child the help they need, family counseling, figuring out the right day program for an aging parent, etc., what is next? I believe what we walk through prepares us to help someone on the other side. It’s often the next step toward taking a bigger role in our personal cause: starting a focus/advocacy group, raising funds, joining a greater support network, writing a book or column, becoming a speaker. Jesus said He has prepared a beautiful place for us. I want in. How about you? 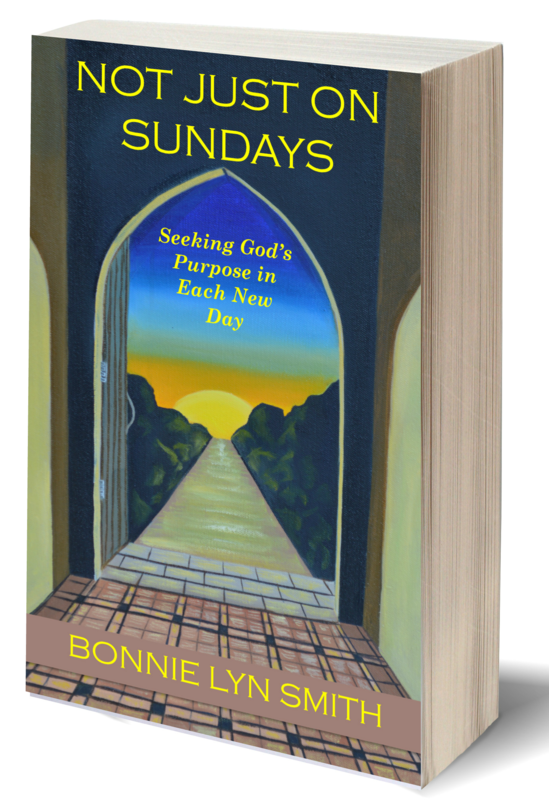 More on how struggles can turn into blessings and what God is often preparing us for can be found in Not Just on Sundays. **It has also been shared at Mom 2 Mom Monday Link-Up, Make a Difference Mondays, Simply Inspired Wednesday’s Link-Up, Grace & Truth, A Little R & R, Saturday Soirée Blog Party, and Christian Mommy Blogger. Bonnie this was super thought provoking and met me right where I’m at right now. Thank you! Thanks, Sybil! If I don’t keep my mind holding this perspective, I all too quickly go down Negative Lane. Thank you for coming by “Espresso of Faith”! Bonnie, Your words are so encouraging and true. God really does know what he’s doing in our lives. He is preparing us for things we don’t know about. I loved the way your stories illustrated this so beautifully. Visiting from Grace and Truth link up. Thank you so much, Dawn, for such kind comments. It really ministered to me as I sometimes doubt if anything I write rings true for others. I needed some encouragement today. Thank you! Hi, Bonnie! I’m stopping by from Grace and Truth. 🙂 I can relate to these words here as my husband and I struggled through a really lonely time in ministry last year. I know there is purpose in that suffering even though it is hard to see when we go through it. Thanks for sharing this with us last week! stultsmamaof4, thank you for stopping by “Espressos of Faith.” I’m so sorry for the hard time you and your husband went through. Those painful, lonely moments in ministry are like a dark night of the soul (Mother Teresa) sometimes, but then a harvest comes. Hang on! You are so right…as we go through it, it’s so hard to see. Blessings! What a beautiful, encouraging and inspiring post! God works all things together for His good! 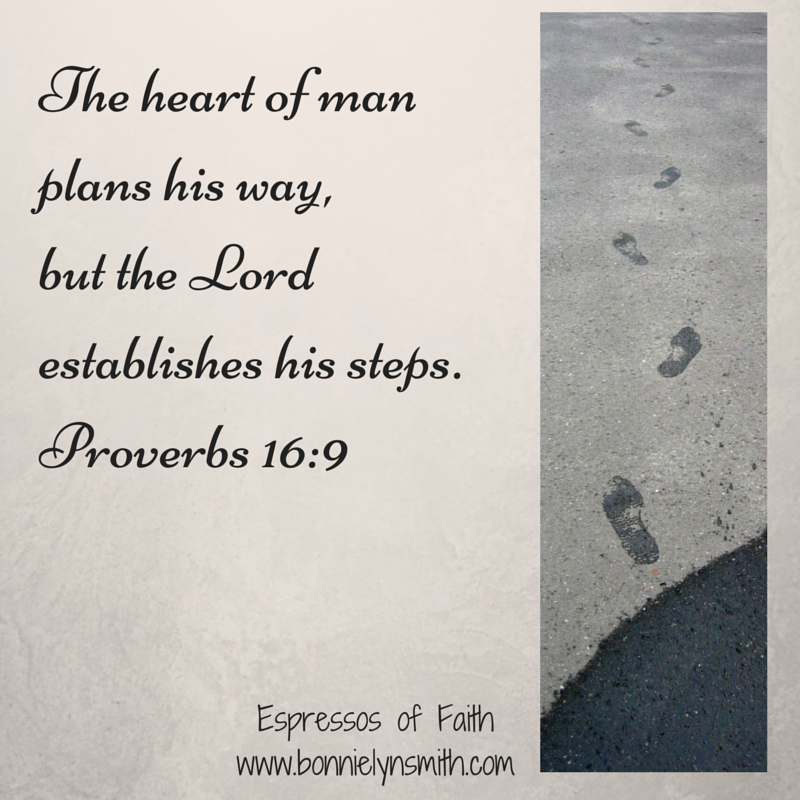 Thanks for linking up with Grace&Truth. Hope you’ll join us again this week! Jenn…thank you for stopping by “Espressos of Faith”! I appreciate your encouragement! Blessings!